Each year, Pantone, the global authority on colour releases a colour of the year however 2016 was very different. They actually released two colours they found to be the best of the year in interior design, both Rose Quartz and Serenity. Whilst Rose Quartz is a pastel pinky type of hue, also known as flushed cheek or budding flower, Serenity is a cool, tranquil blue reminiscent of a spring sky blue. Sometimes it can be tough to utilise colour in any room within our home and so in this latest article from Designer Sofas 4 U, we explain how to use blue in your living room décor for an up-to-date and fresh approach to interior design for this year. From navy to teal, there are many variations of blue however some of these simple additions could help you completely transform your living room – whatever your budget! Blue is an extremely versatile shade. According to the psychology of colours it can also help instill feelings of calmness and relaxation so is an ideal colour for your living room décor, where, let’s face it, you’ll be doing most of your living! A statement blue sofa is a great addition as it makes the room feel inviting and cosy but is also durable as it conceals dirt and grime easily. Be careful though, as too much blue could create a cold atmosphere in the room so ensure you accent with other items from different colour palettes. Orange is opposite blue on the colour wheel so invest in an orange tub chair or use oranges and lemons in a clear bowl on a sideboard to complement the main scheme. Did you know we have a wide range of blue sofas and sofa beds sold exclusively on Designer Sofas 4 U? Our favourite is this Chesterfield crystal diamond 2 seater in a striking blue velvet. For those nervous about jumping in at the deep end and going blue, subtly introduce blue into your living room décor by adding accents that will complement your current décor. The great thing about blue is the variation of shades. Almost any shade will complement a type of blue whether it’s navy, royal blue, duck egg blue, sky blue or even teal. If your living room is white or neutral, you’re in luck as blue is the ideal colour choice for your accents. 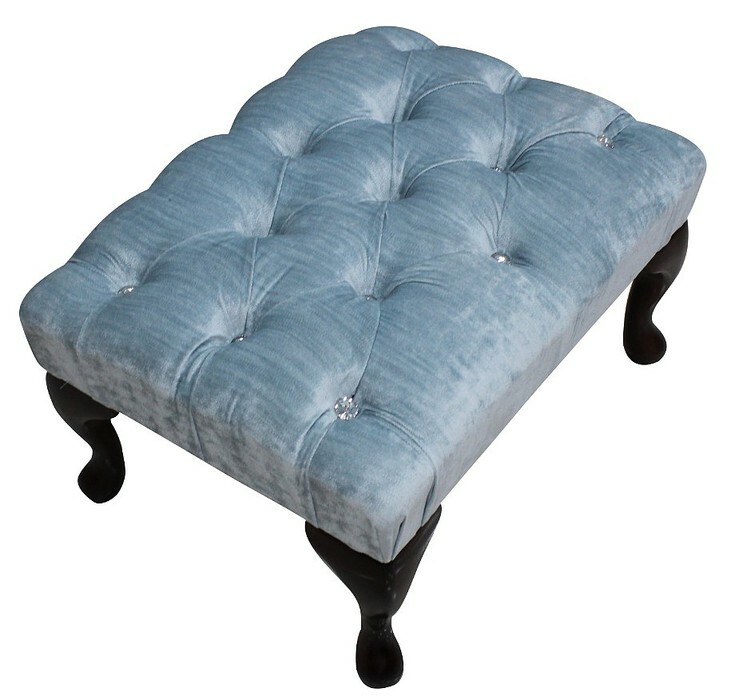 Consider a blue ottoman or footstool such as this Chesterfield crystal Queen Anne footstool in a pastel duck egg blue hue. 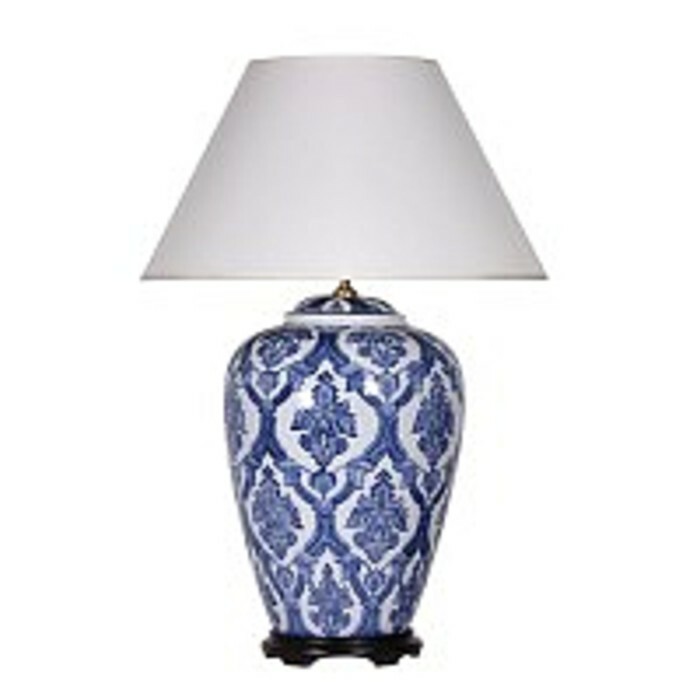 You could also add a decorative lamp, for example this blue and white patterned vase lamp with shade, reminiscent of the Willow pattern made by Royal Stafford for a country cottage effect. 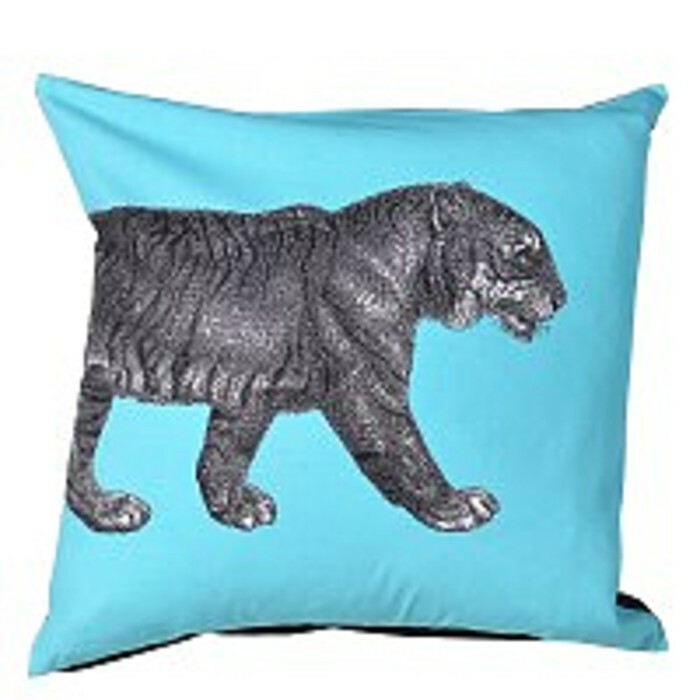 Or simply accessories by introducing easily changeable accessories such as cushions and throws, why not try this exotic blue tiger cushion cover which can be easily swapped if you ever fancy a change or simply don’t like the end result. If you’ve got certain features in a room you’d like to bring attention to such as a statement sofa or roaring fireplace, bring your eye towards them by decorating a feature wall in one of the many shades of blue. A blue feature wall is ideal for those who do not want to commit or overpower a room and the many shades of blue can work well in a variety of settings. A muted or milky blue is perfect for those who want to stay away from a dramatic feel as the pastel shades are relaxed and welcoming however a crisp, dark blue can add instant refinement and shows off your playful side. Whatever you choose, remember to test an inconspicuous part of the wall first as paint can look different when it’s on. Give yourself some time to take it in and decide whether you want to go all in! Do you have any blue in your home? How have you used it? Get in touch with us via Facebook or Twitter!